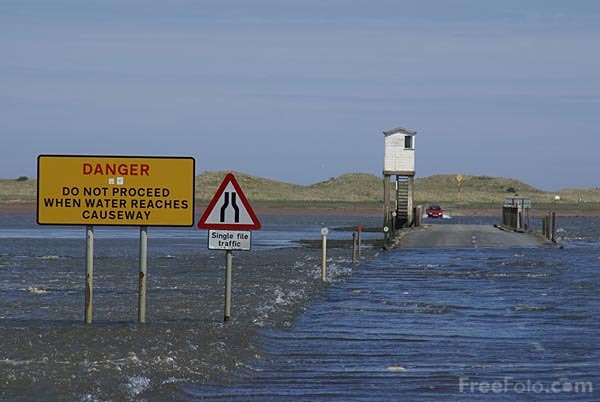 Picture of Holy Island Causeway which is also known as Lindisfarne causeway. The island is linked to the mainland by a three mile long causeway, built in 1954. Twice each day the tide still renders the road impassable for 2 hours before high tide and 3 hours after.